The Post Wedding Day Coma: You're Married... Now What? Before we dive in… I get it, you have stuff to do. You’ve just spent over a year, maybe two, planning the biggest most expensive day of your life. So if you just want to skip the big official ceremony between us (where we have to have the awkward “do we invite weird Aunt Rita” convo) and just head straight into elopement bliss… fill out the below quick information form for one of our licensed insurance agents to contact you immediately about everything you need to know about merging your two households now that you’re married. We get it… being wined and dined isn’t for everyone- we know you still love us and we absolutely will call you (not like that boy in high-school you said you would call back and didn’t). Your journey ends here. Now that I’ve given you the self check out version, for those of you who enjoy the romance and bliss of being chased and courted, this next part is for you. You’re probably sitting in your kitchen or maybe your office after you’ve gotten home from your honeymoon. Got a little Otis Redding playing in the background (I told you I was setting the scene). If you are like me, you are probably ignoring the 4 suitcases in the corner of your master bedroom that are most certainly not unpacked. Possibly even looking at honeymoon pictures and most certainly coming down off of the high that was the last year of your life (maybe more depending on how long you’ve been engaged). How many times have you genuinely thought that since you got back from your honeymoon? How many times have you looked at your planner and thought hmmmm well I don’t need to meet my florist or my photographer anymore soooo what is my purpose in life? 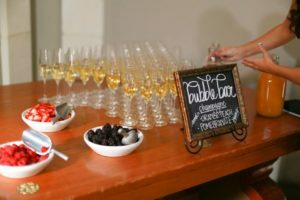 In talking to 3 recent brides through Arizona Wedding Insurance I asked them all one question, and you’ll get to see their cute and very honest answers throughout this blog. My question was “what is the single most surprising thing you found out after getting married?”. Their answers will be sure to make you chuckle. Aside from that though, you will notice that there really is no manual for what to do next. Let me pull you out of your Post Wedding Day Coma. This is the fun part. Since you probably haven’t talked to your wedding planner since you screamed Bon Voyage after 6 glasses of champagne (guuuurl don’t even deny it), let’s switch gears and get you a new kind of planner. I’m about to give you your Post Wedding Day Planner….. me. We have things to do and two lives to merge. You have ish to do. Pick up your still manicured fingers (well post wedding manicured) and get scrolling. The Post Day Wedding Coma: You’re Married Now What? Let’s first clear one thing up, this isn’t the bachelor- this is real life. But even after the bachelor (can you believe that guy?) no one swoops in once they are done filming and talks to them about the “what’s next portion” of their lives. So let’s start with the most exciting thing first, because I don’t want to lose ya right out the gate. You will need to take a field trip to your Nearest Motor Vehicle Department. No matter where you bank, when you are getting ready to merge accounts, more on that in a minute, you will need picture id and your marriage license in order to do it. Once you have your changed social security card and drivers license, everything is just a little easier. Here are a few more reminders of things that will need your last name updated. Before you start breathing into a paper bag or pop open the last of the “wedding wine”, I have a solution for you. HitchSwitch is a company that is used by some of the wedding industry’s finest like Brides, The Knot, and Huffpost Weddings. Their only job is to take all of those changes completely off your plate. You chose the package that best suits your needs and budget and well… they do the rest! I let you read the exciting part first, because well, who wants to write thank you notes? And no… electronic thank you notes are not acceptable (or are they?- no they aren’t). Proper wedding etiquette says you need to get them out within 1 month of your wedding. My advice? Just get to it. Husband/Wife bonding time? Check out this article on Proper Thank you Card Wording and get errrr done. These people (your guests) spent hundreds of dollars getting you the most recent version of the pepper shaker… the lease you can do is send them a thank you card. 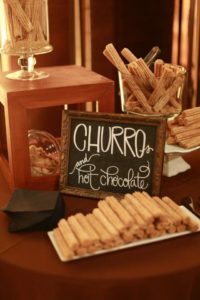 If you had a positive experience with a wedding vendor you should make a point to either visit them on google or even take a stroll to their Facebook page. Vendors work hard to make sure your day goes off without a hitch so make sure to help them grow their business and throw them some public love. If you are feeling even more twitterpated- here is a more in depth article on how you can step Up Your Vendor Thank you Game. anniversary. Now… fair warning here, my top layer didn’t make it a year. It made it 4 days. Mostly because I like icing and have no self control. However, I hear that you should layer it in several layers of plastic wrap and avoid aluminum foil due to potential freezer burn. The Dress– Before you go any further, have your dress professionally cleaned. It’s worth it. The giant grass stains on the bottom, or the champagne you spilled on it while your 6 bridesmaids insist on helping you use the bathroom… they won’t come out 5 years later. Get it cleaned. After that you have a few options, you can have it professionally preserved or just bagged up and put in the back of your closet. Whatever you decide to do with it, getting it cleaned first is your only must! Your Bouquet– There are quite a few ways you can preserve your bouquet. From hanging it upside down, to pressing it, to using silica to preserve it as close to it’s current state as you can get. Whatever your option is, you need to decide pretty much before you leave the reception hall as to what you want to do with your bouquet. We covered a few fun priority items when it comes to two becoming one, but what about the #adulting stuff. What about the items that aren’t as romantic as being newlywed? Let’s tackle them together. Although it is not required to function out of one bank account, for most married couples it becomes a matter of convenience. Even if you decide that splitting your bank accounts is still the best option for you, you will want to make sure you are both listed on each others accounts just in case something should happen to either one of you. Having each other listed on each other’s accounts just simply makes life easier. This one stinks… I know. My number one recommendation in working with couples merge their households for years is just throw it all out there. Put the debts in a list and figure out how you are going to knock them out together. Most couples I find these days are going into their marriage with debt from their weddings (I know… shocking). Get involved with a program like Dave Ramsey’s Financial Peace University or download an app like Debt- Free Pay off your Debt through I-tunes. Whatever it is, just go in on it together –with a plan. You’re married– insurance companies like married people. So much so, that most give them adiscount for being married as opposed to single. You want to combine your insurance items. Multi-policy opportunity– again, insurance companies like married people. They have two of everything (most things). By combining your policies together, more saving opportunities. Different coverage exposure– In most states the moment you “legally shack up” (seems like the best way to put it), what is his becomes yours and vice versa. Same with liability exposure. You’ll want to make sure you both review your current auto insurance policies with your independent insurance agent to make sure they are combined (as referenced above) and that they match. Life Insurance– It’s not all about just you now. You need to make sure you are working with your insurance agent to find a value of life insurance that would be a comfortable amount in case something happened to you. It’s hard enough losing a spouse, don’t wait until its too late to think about this important coverage. Health Insurance– When you get married there are a number of things that require attention and there are some that you can put on the back burner. Health Insurance is not a back burner item. You are limited in most states as to when you have to make a change to an existing health insurance policy- so don’t delay! You’ll want to explore your options of being added to a group plan if possible or if there are government options for military families etc. With the ever changing exposure to the health insurance world you’ll want to link up with a professional. 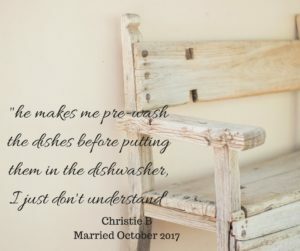 I think every bride goes through a period of her Post Wedding Coma that is bittersweet. You are both happy it happened and so happy it is over. Although I am also sure that you are blissfully in love, real life is probably setting in a bit harder than expected. If you are reading this article in preparation for your upcoming big day, you can start your planning now by taking care of the things that matter. There is nothing stopping you from taking action now to not only prepare to merge your households together but also to protect your Wedding Day. 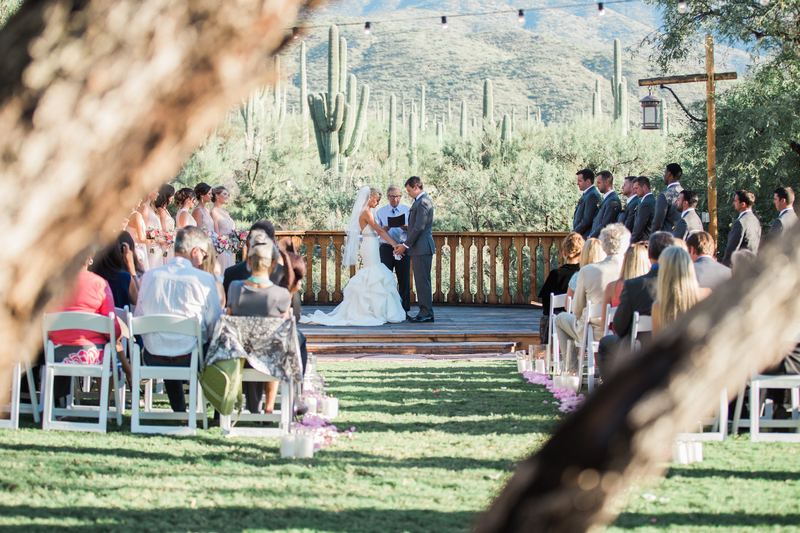 Not familiar with Arizona Wedding Insurance? Now that we’ve wined and dined you… even took you for a loop around the block because we weren’t ready to drop you off quite yet. Take a minute and fill out your information below to chat with one of our Post Wedding Coma Specialists. With our group of trusted specialists from financial advisors, realtors, lenders, and yes you guessed it… Insurance Agents, we can help you make the union an easy one. May you have a long and happy life full of laughter and clean kitchens (we hear this is kind of a big deal). Complete the form below and we’ll help you protect the new life you’ve created! Erin Nutting is the owner of Integrity Insurance Services, an independent insurance agency located in Tucson Arizona. Integrity Insurance specializes in among other things, wedding insurance. If you are looking to protect one of the most important days in your entire life, give us a call today.